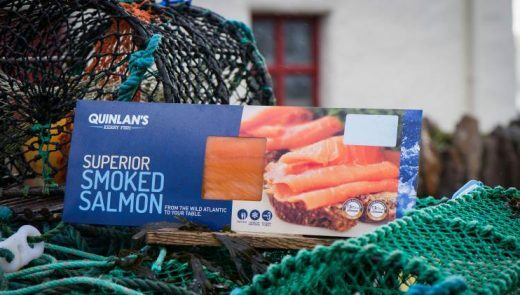 QUINLAN’S Fish, which has a shop in Tralee, has won the prestigious Supreme Champion Award at this year’s Blas na hÉireann, The Irish Food Awards. The company’s winning entry is its fresh crabmeat. The entry won over the judges’ taste-buds because of its fabulous flavour, freshness and delicate texture. There were more than 2,000 entries for this year’s Awards from all over Ireland, making it the biggest competition of Irish produce on the island of Ireland. Adjudication involved over 400 independent judges over a period of three weeks. The winners were announced on Saturday night. 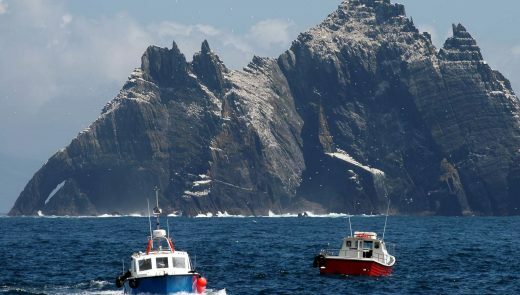 The highly acclaimed Blas na hÉireann awards have been setting the standards for Irish food producers for eight years and the number of entries this year broke all records, proving the value and vitality of the Irish food and drinks sector. For the winners, these awards are known to open doors to new markets at home and abroad. “We are absolutely thrilled,” said Liam Quinlan of Quinlan’s Fish. “We have four premium fish shops as well as three seafood bars supplying our produce direct from tide to table. My father, Michael, started the business 52 years ago and it has been 52 years of hard work since then. This is the biggest award and honour we have ever received and I hope it shows that quality always shines through,” said Liam. The Best Artisan Award, also sponsored by An Bord Bia, was won by Bainne Codhladh of Kanturk Co Cork, who won with its Lullaby milk. By taking the milk from the cows during the night it contains naturally high levels of melatonin which helps with sleep. It is particularly effective for babies with sleeping difficulties.